A sacred tea for mind body and soul. 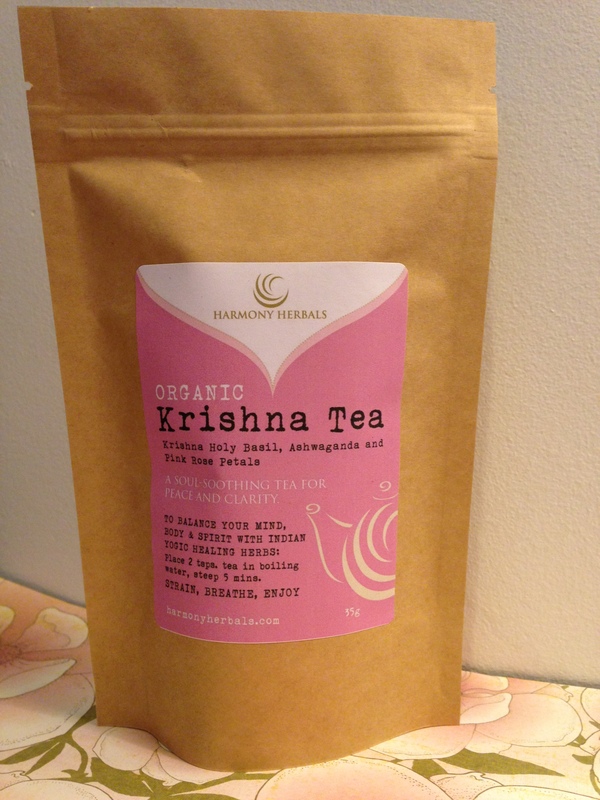 With organic Krishna Holy Basil, Pink Rose Petals, and Ashwaganda Root, this tea promotes mental and physical well-being, vitality and clarity. Read more below! 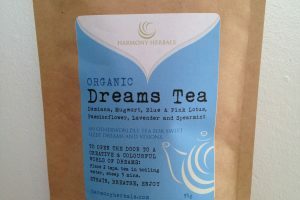 Categories: Organic Loose Leaf Teas, Dried Herbs and Superfoods. 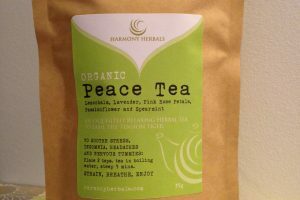 35g of Organic Loose Leaf Tea in a resealable bag. 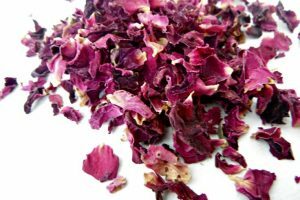 Holy Basil, a miracle herb in itself, combines with sweet Rose petals in a tea that is simply healing, life-giving, and sacred. 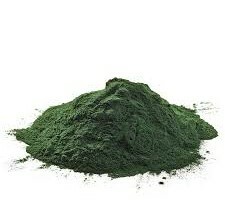 Ashwaganda, an Ayurvedic herb increasingly known as the “Indian ginseng, provides energy and a rejuvenating lift while at the same time offering a calming effect. It is considered building and rejuvenating to the whole system, and Ayurvedic healers have long prescribed the herb to treat exhaustion caused by both physical and mental strain, and it increases energy and endurance when under stress. The key to ashwagandha’s benefit lies in its action as an adaptogen, a substance that helps the body become more flexible and capable of handling change. We first learned about the amazing benefits of Tulsi, both for internal and external use, from our emergency room nurse when my wife got bitten by a strange spider. The doctor wasn’t much help, but when he’d left the room, the nurse said to head to the nearest natural foods store and make a poultice from chopped Tulsi leaves or essential oil. Worked like a charm… immediate pain relief and took down the swelling in hours. Since then we’ve tried several Tulsi teas as a relaxing and beneficial evening tea, but none have been as tasty as Krishna Tea. Some smell like dirty socks, or don’t have much flavor. 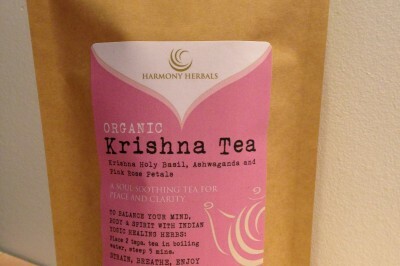 Krishna smells and tastes just like the most potent essential oils we use, and a couple full teaspoons makes a liter of fresh tea in just ten minutes of steeping. Thanks!